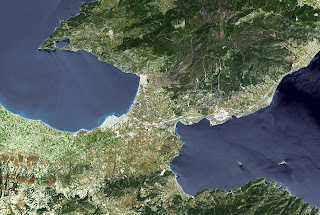 IT may have been a wonderfully rich agricultural area adored by farmers, but for early traders the Peloponnese Peninsula making up the southern-most part of mainland Greece, was anything but adored as it divided the Ionian and Adriatic Seas from the Aegean Sea, and therefore Athens, the Greek Islands and Turkey. Worse still the 16,000 square kilometre peninsula was linked to the remainder of Greece by the narrowest neck of land called the Corinth Isthmus, which although just 6km wide meant travel times along lucrative trade routes were over 700kms longer than the traders felt necessary – and often meant days of sailing through treacherous seas. 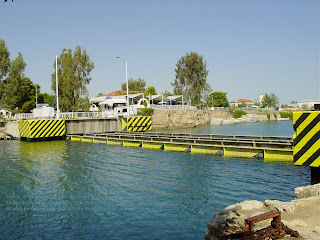 Periander, the Tyrant of Corinth, as early as 602BC thought about cutting a canal across the little isthmus for ships to sail through, but deciding that that was all too hard, built instead an ingenious stone roadway across the narrow neck of land. Ships were unloaded at one end, hauled on wheeled carts along the road and followed by their cargoes on other carts, and then put back in the sea at the other end to be re-loaded to continue on their way. While quite admirable it was hugely labor-intensive, and in subsequent years many others pondered the need for a canal, including Julius Caesar who was murdered before he could get started. And his successor Caligula in 40AD was howled-down by advisors who believed that because the Ionian and Adriatic Seas were more northerly than the Aegean, they must therefore be higher than the Aegean, and when any canal was opened water would rush through and flood the Aegean. When Emperor Nero came along he pooh-poohed such theories, and in 67AD drew-up plans for a cutting and canal 70m deep from its hilltop to its water's deepest point, recruited no less than 6,000 slaves, brought in an orchestra, and while the music played, and to much applause, turned the first sod himself with a golden pick. But with ebbing public support because of his strange behaviour, Nero committed suicide soon after, and work on the canal came to an abrupt halt. It was not until centuries later that the Greek government got serious again about a canal across the Corinth isthmus, and digging began in earnest in 1881. 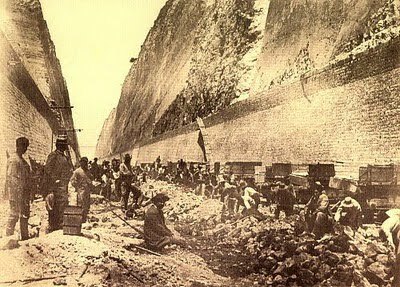 The Corinth Canal finally opened on October 28 1893. 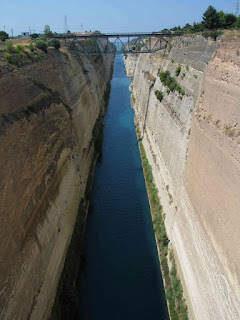 It is 6.3km long, 21m wide and its waters 8m deep. 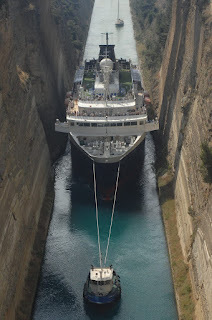 From the water's surface to its highest point the sheer rock walls of the canal rise 63m high, and the canal is spanned by two road bridges and a rail bridge… and remarkably at each end, roads on pontoons that link the Greek mainland to the Peloponnese 'sink' into trenches dug a further several metres into the bed of the canal to allow ships to pass over them. While it's narrow and shallow, the Corinth Canal is still a useful waterway today for some 12,000 small cargo vessels, boutique-size cruise ships, and pleasure boats travelling each year between the Adriatic and Ionian Seas and the Aegean – saving them over 700km in travel and the need to round the often-dangerous Cape Maleas in the very south of the Peninsula. And it is home to Ancient Olympia where Emperor Nero once competed and –strangely – won every medal. He also regularly sang and played his lyre in a theatre there, ordering the doors locked so no-one could leave during his 3-hour performances. The Peloponnese's pleasant beaches are washed by aqua-blue waters under sunny Mediterranean skies; accommodation ranges from budget to 4- and 5-star, and dining on local delicacies is excellent in sunny outdoor cafés. Travel agents can help you with travel arrangements and accommodation.